The Hosts file can be useful for blocking ads, but sometimes it can also interfere with normal web browsing and downloading. It has been a hassle to temporarily rename the Hosts file so that you could visit those troublesome sites or to switch to a less-restrictive Hosts setting. Until now. HostsToggle makes turning the Hosts file "on" and "off" as easy as clicking a button. The Hosts file can also be automatically restored after a specified amount of time--great if you keep forgetting to turn the Hosts back on! And finally, you can easily load alternate Hosts files (saved with the extension .tgl) so that instead of completely turning off the Hosts file, you can load one without the entries that are causing you trouble. HostsToggle comes with the Visual Basic 6 source code so you can see exactly what it's doing. You are free to modify the code to suit your needs. HostsToggle may also be freely distributed for non-profit. If you distribute a modified version of HostsToggle, you must include the modified source code. 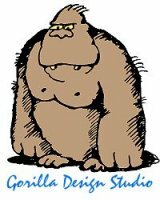 Special thanks to Gorilla Design Studio for providing the "official" HostsToggle site, to Gibson Research Corporation for providing the newsgroups which taught me about how to use the Hosts file and other privacy-protecting measures, and to anyone who has provided feedback on HostsToggle. To all those mentioned above, your services are much appreciated! Thank you!